I’ve mentioned before how I used to give little thought to the flowers I grew around the yard. I focused on the vegetable garden and threw some companion flowers in without too much thought. That is, until I got started growing Echinacea! I’ve mentioned Echinacea a few times in my posts, What to Plant in a Healing Garden and Every Homestead Needs a Cutting Garden. You might be wondering why I’m so excited about this flower that seems to be everywhere. Yes, purple coneflower can be seen in just about every flower bed around the country. But, there are reasons far beyond how easy it is to grow. 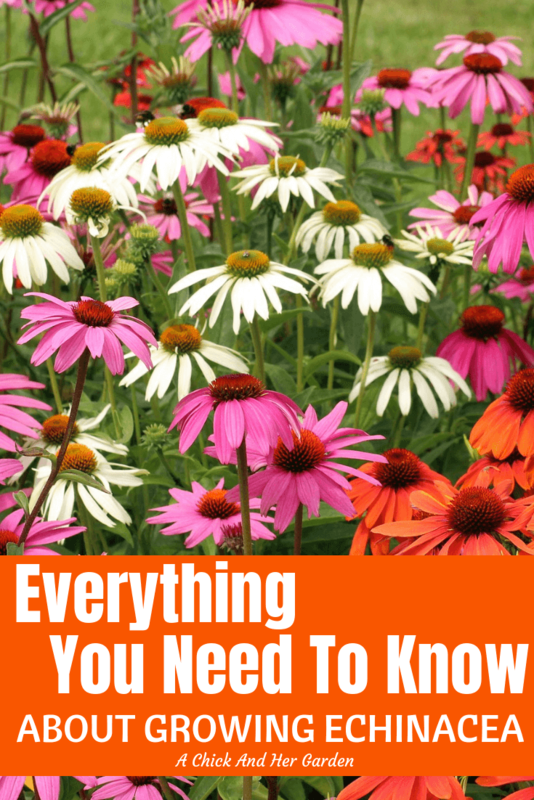 But first, let’s start with how easy growing Echinacea is! Echinacea is a self seeding, bunching perennial that is native to North America. Because it’s a native plant, it’s fairly easy to grow. As far as light goes, echinacea is technically a plant that needs full to part sun, but it can do fairly well in a shady spot of the garden. Echinacea will help bring a pop of color into an area that can typically be pretty dull. Propagating echinacea is even easier! I mentioned before that echinacea is a self seeding perennial. So it will multiply on its own. You can dig up and divide the plants. Or, you can save the seeds and start your own seedlings. To do this though, the seeds need to go through cold moist stratification. For this, you just need to snip dry cones off of the plant, break the seeds off the cone, mix in sawdust or vermiculite, and store over winter in the refrigerator! When you’re ready to start seeds in the spring, they’re all set to be either sewn indoors or direct sewn into the garden! A huge part of my new found love for echinacea is the variety of colors you can find now! Typically we see the standard purple coneflower, which I do have in my gardens, but I’ve upgraded this past year to add a few more! I’ve added “Cheyenne Spirit”, which is the mix in the picture above. I’ve also added “Tiki Torch”, a bright, almost iridescent orange, and “Tomato Soup” a deep red color! And that’s just a start! You can find white and green and all of the colors in different shades. The cones of different varieties vary in color as well! Having different varieties is great for the cutting garden! You’ve probably heard that echinacea is good for you. You may have even had a grandma, like me, that swore by the stuff! Grandma, you were amazing, but you did sound a little bit like a drug pusher every time I had a cold. You could buy the echinacea supplements at the store. But, if you’re growing echinacea, you might as well dry it and brew yourself some tea! The roots, leaves and flower heads may all be used to brew tea. But for a milder flavor and to make life a little easier, all you have to use are the leaves and flower heads. 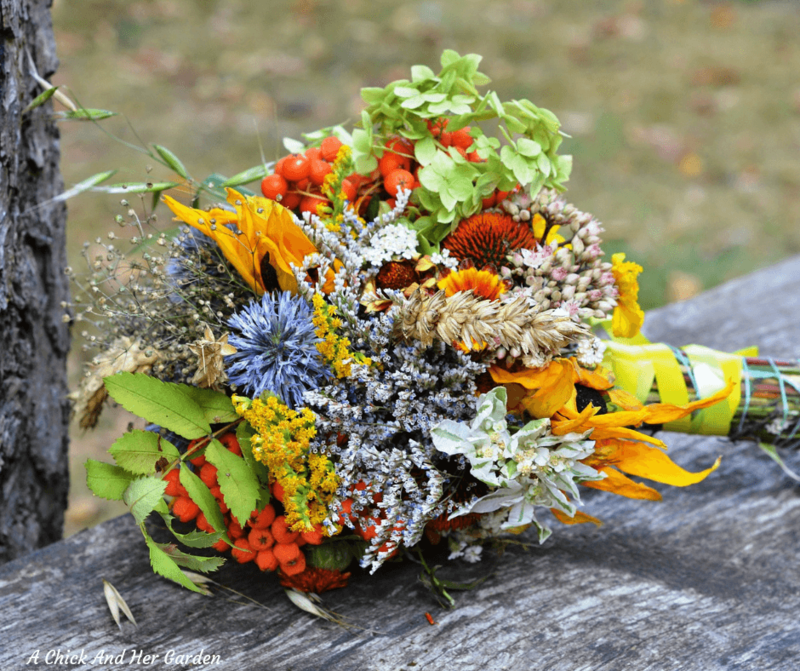 Fresh or dried flowers and leaves are both great for tea. Just brew them in some hot water and if you’d like, throw in a few more herbs from your healing garden. You can also add some lemon or honey! Fights and reduces the duration of colds and flu. Helps to control blood sugar – Make sure to continue insulin therapy and diabetes treatments. But it’s said to help with sugar spikes and plummeting. Full of Antioxidants – which encourages healthy cell growth. Great for Cancer Patients – echinacea helps to boost the immune system, and potentially slows growth of cancerous cells. Manage Anxiety – A warm cup of tea is calming in itself. But it’s said that echinacea, “helps to regulate the synapses that aid communication between your body and brain” which reduces your fear reaction. 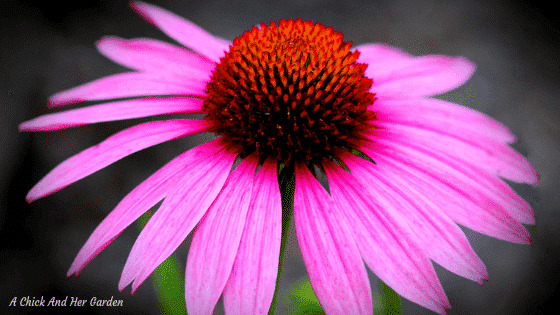 Anti-inflammatory properties – Echinacea may possibly lower blood pressure, as well as help with arthritis, ulcers, Chron’s Disease symptoms and more! 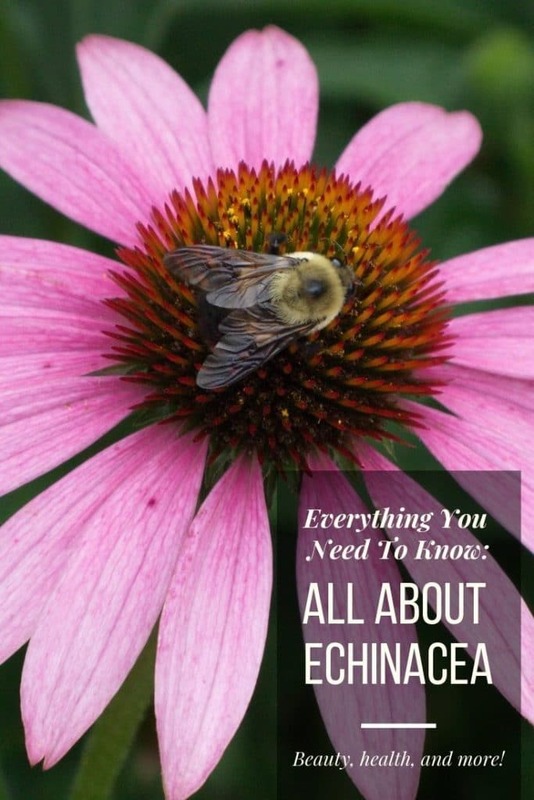 For help understanding the health benefits of echinacea I found more info here! What are the benefits of Echinacea in the garden? Echinacea isn’t just good for us! It has some pretty great benefits for the garden too! Pollinators like bees and butterflies are attracted to echinacea, and that helps ALL of the plants! If you’re a bird watcher, birds are attracted to the dried seed heads in the fall and winter. Because echinacea is a native plant, attracting pollinators and birds, it’s actually encouraging a healthy native eco-system! After all of that, I’m pretty disappointed in myself for waiting so long to include echinacea in the garden. But it’s there now and looking lovelier than ever! Do you grow echinacea? Tell me what varieties in the comments! If not, have I convinced you that you should?? What did you do to help your echinacea grow in the moist, clay soil? We have the same type here in north Florida.